Janet L. Smith, 88, of Fremont, OH passed away on Wednesday, September 6, 2017 at ProMedica Memorial Hospital. She was born on June 7, 1929 in Fremont, OH, the daughter of Roy and Esther (Seward) Grundy. She was a 1948 graduate of Fremont Ross High School. Janet married Robert L. Smith on October 1, 1949 at St. Mark Lutheran Church in Fremont and he preceded her in death on March 7, 2010. She was a homemaker and worked at Montgomery Ward in the Catalog Department and was the custodian at St Mark Lutheran Church until she retired. Janet was member of St. Mark Lutheran Church and the Fremont Eagles Auxiliary. 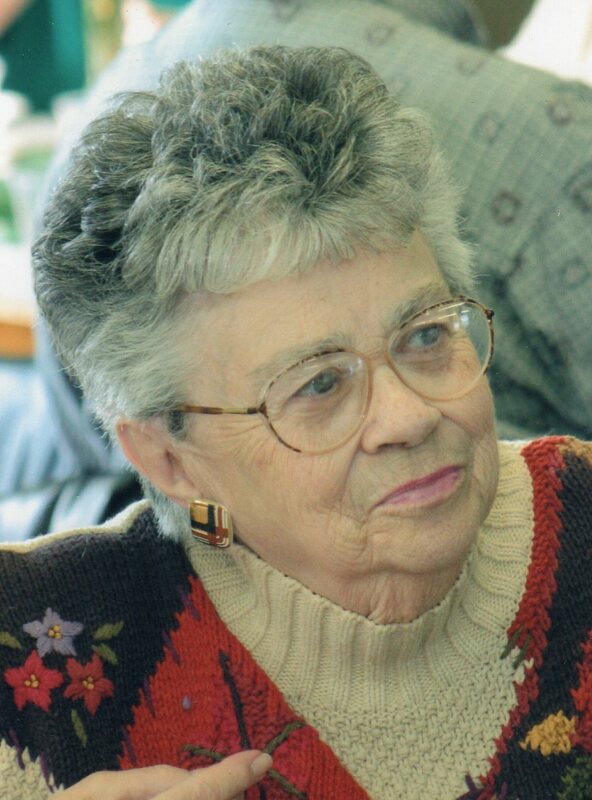 She loved sewing, spending time with her family and attending her grandchildren’s events. Janet is survived by her children, Viki (Michael) Hill and Brent (Lorrie) Smith both of Fremont, OH; sister, Maxine (Bud) Rutherford, Green Springs; grandchildren, Shane (Jenny) Hill, Amie (Ryan) Wilson, Kelly (Brad) Stratton, Clint (Jen) Hill, Kyle (Tracy) Smith, Andrea (Adam) Hirt and Aaron (Kristen) Smith; fifteen great grandchildren and one great-great granddaughter. She was preceded in death by her parents and husband, Robert L. Smith. Visitation: Sunday from 2 to 5 p.m. at Wonderly Horvath Hanes Funeral Home and Crematory, 425 E State St., Fremont, OH. Service: Monday, September 11, 2017; 10:30 a.m. at St. Mark Lutheran Church, 902 E State St., Fremont, OH with one hour of visitation prior to the service at the church. Pastor Scott Mauch will officiate.